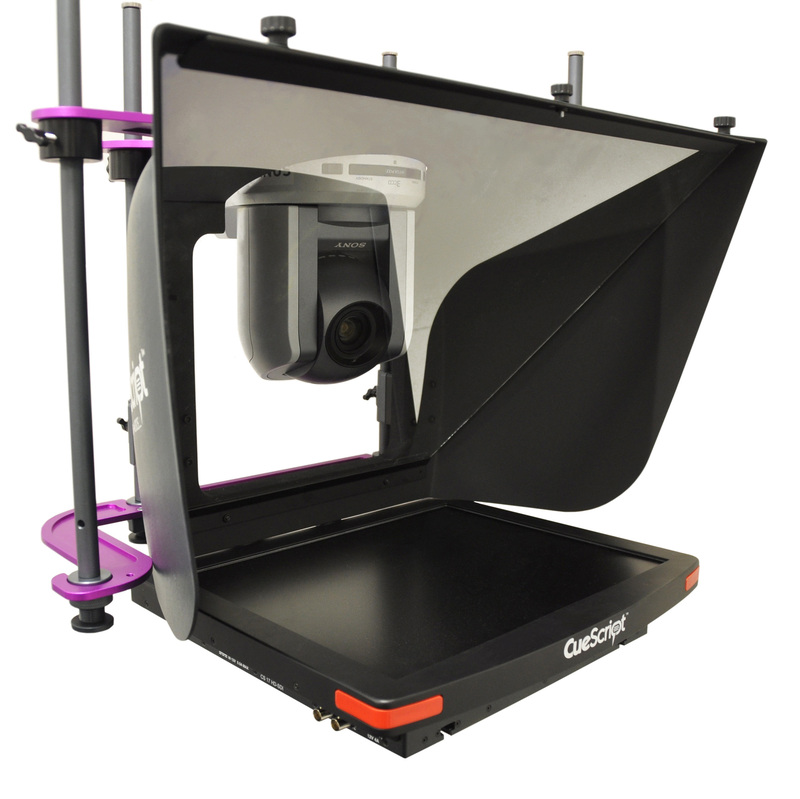 A New Patent Pending Mounting Solution that Enables the use of a PTZ Camera With A Prompter. 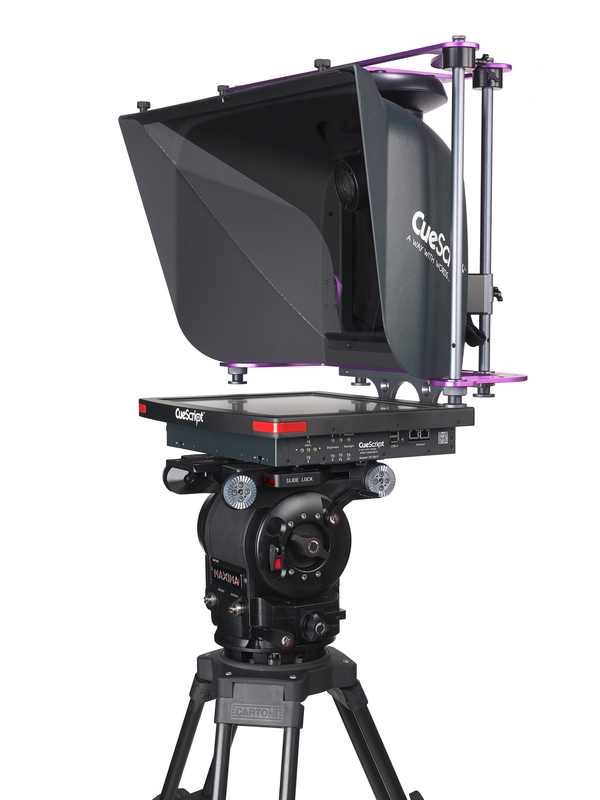 Up until now, using a prompter display with a PTZ camera restricted the operation of the PTZ, as these cameras are not designed to work with prompting units. However, CueScript has set about to turn this problem on its head… literally! 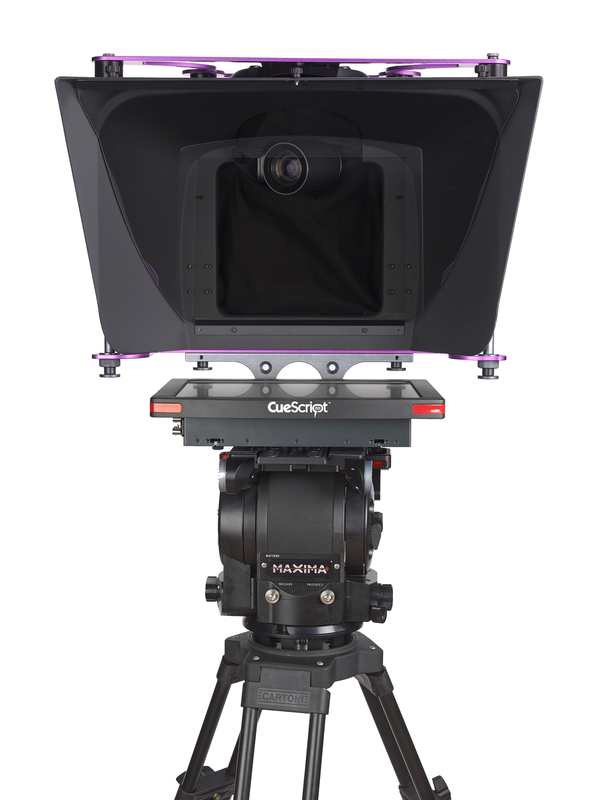 With a patent pending, CueScript has developed a mounting system whereby the PTZ camera mounts upside down in the top of a specially designed prompter hood. Mounting the system this way removes the operational limitations of a PTZ camera within a prompter; the PTZ has greater movement in the shots it can achieve. 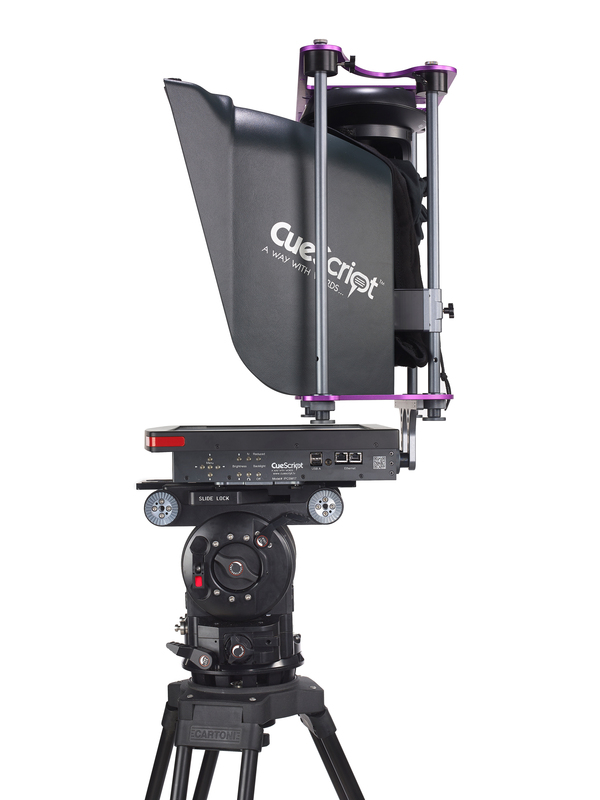 An additional bonus is that users no longer need to use high payload taking, expensive tripods, as the CueScript PTZ Mount makes using a lighting stand possible. A wall-mount version is also available.